Pre‐registration for Pins for Ponies has not been as fruitful as we had hoped. SAFE reserved a lot of lanes at the bowling alley, but has only managed to fill a handful of them. We’re going to have a great afternoon no matter how many people turn out, but we’d still love to see more of our friends and supporters join us. It’s two hours of unlimited bowling plus pizza and prizes…remember, you’ll have the chance to win tickets to the “World Famous” Lipizzaner Stallions performance. We’re going to extend the sign‐up time another week (thank you SunVilla!) so if you were thinking about coming out for Pins for Ponies, we’d really love to hear from you. Click here to sign up. Tickets in the SAFE group section are selling fast, and I’m delighted to announce that we have sold more than enough tickets to guarantee that the pre‐show clinic is happening! If you haven’t bought your tickets yet, now is the time. There are 100 seats available in the SAFE section (section 119, Rows 1–4) so when those are gone, they’re gone! We will be able to get more tickets if those sell out, but we won’t know exactly where they’ll be located until we reserve them. However, everyone who buys their tickets from SAFE will be admitted to the exclusive pre‐show presentation. Click here to buy your tickets! 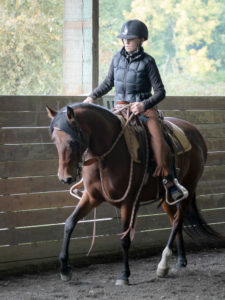 We need to clarify that the saddle fitting sessions are for English saddles only. 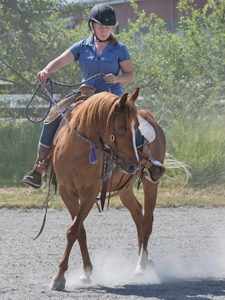 Dawn Anderson says she plans to start working on Western saddles at some point in the future when she’s acquired the training and education on how to do it correctly. 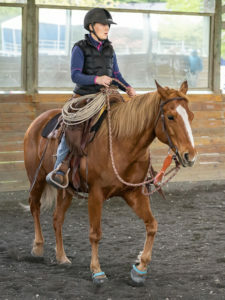 Western riders are still encouraged to he Lecture/Demonstration on Saturday since the principles of saddle fit and equine biomechanics are the same in both disciplines. Click here to learn more about the clinic.